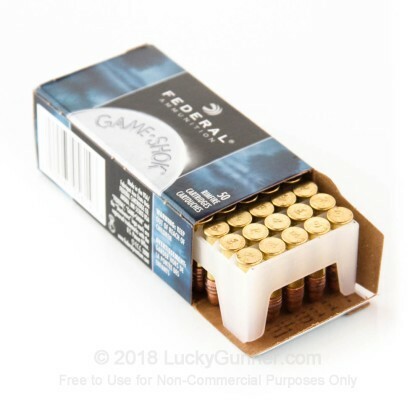 Federal's 710 line of Game Shok 22 long rifle ammunition features a copper plated round nose design that produces great ballistics properties. 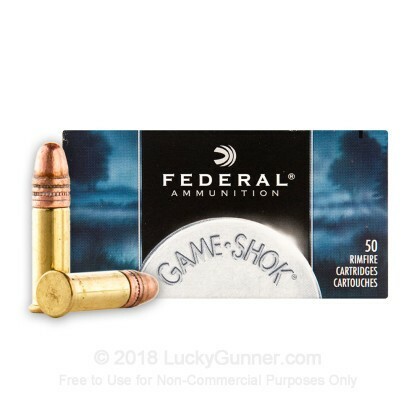 This ammo cycles semi-auto rifles smoothly and provides great on-target accuracy making it an excellent choice for game hunting or target practice. 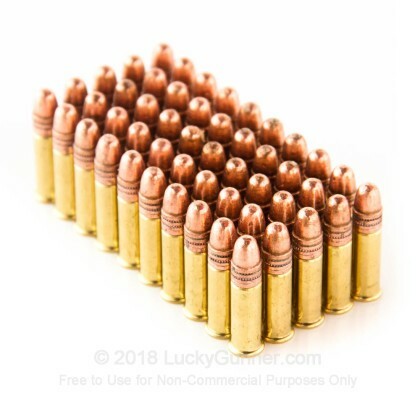 This ammo is manufactured in Minnesota by Federal and it is brass-cased, rimfire-primed, non-corrosive, and non-reloadable. 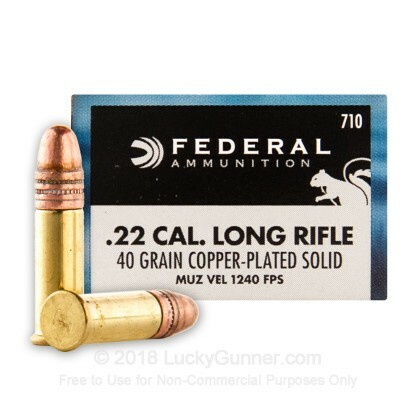 Q: Will this ammo work with my Ruger sr22 for target shooting. A: Hello Ian, Yes, these 40gr. 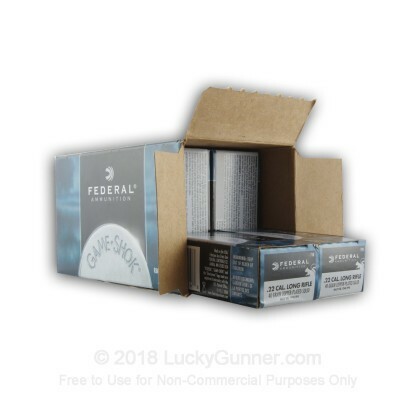 rounds by Federal in .22 LR will work great in your Ruger SR-22 for target shooting. You shouldn't have any problems with them. 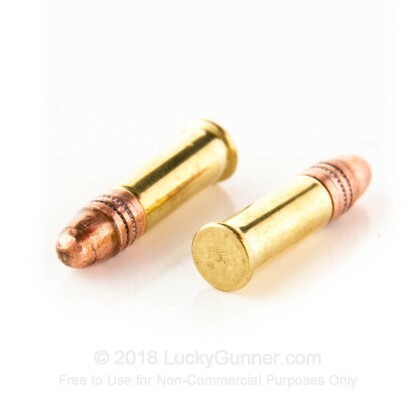 A: Hello Bill, Yes, these Federal .22 LR rounds will work good in your Sig 1911. I haven't heard of any problems with them in that gun. 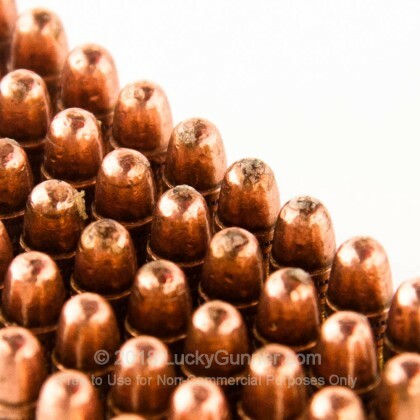 We also have this 22 LR - 40 Grain Copper Plated Round Nose (Solid) - Federal Game-Shok - 5000 Rounds ammo in stock in a bigger quantity.